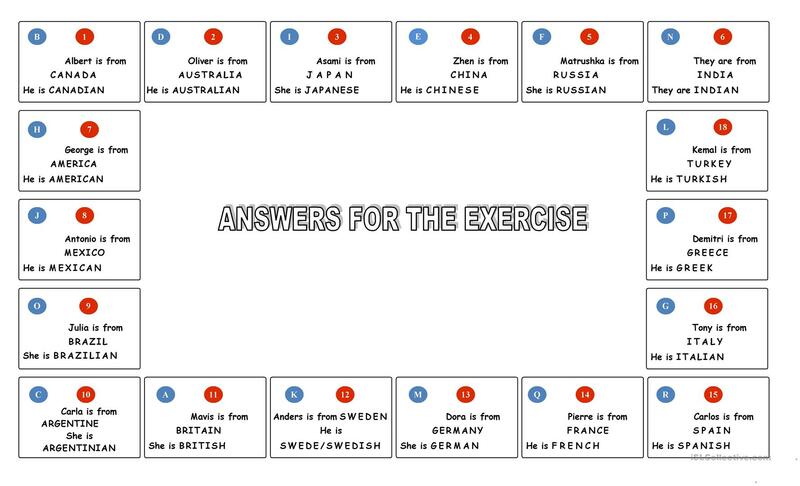 A worksheet for practicing and learning the countries and nationalities around the world. 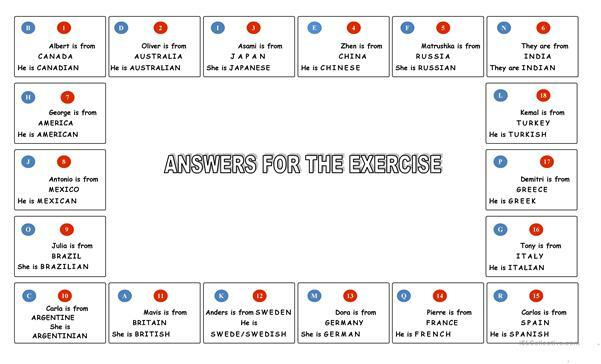 Key for the exercise is given. This downloadable printable is recommended for elementary school students at Elementary (A1) level. It is a valuable material for enhancing your learners' Writing skills. 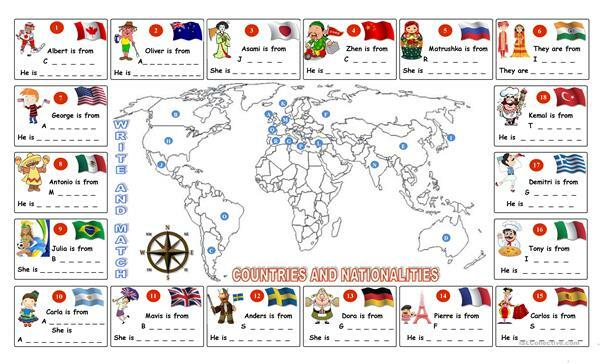 It features the vocabulary topic of Countries. You will find the solution at the end of the worksheet.